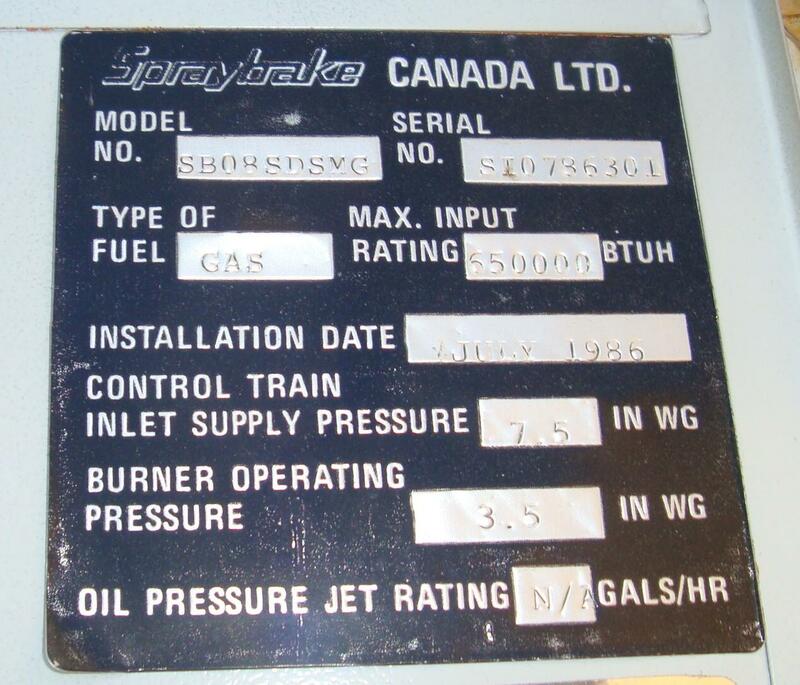 Spraybake booths were imported from England until 1979 when manufacturing began in Canada. Manufacturing stopped when the successor, GEN IV Corp., ended business in 2005. Used Spraybake booths are continuously available and continue to set the standard for the finest and fastest spray finishing. Spraybake waterwash booths are exempt from EPA’s expensive 98% filtration rules. With our airflow, lighting and filtration upgrades, Spraybake booths exceed the performance of any other make of new spray booth, including the curing of waterborne paints without add-on fans. As Booth and Burner Corp., we’ve installed and repaired Spraybakes since 1998. 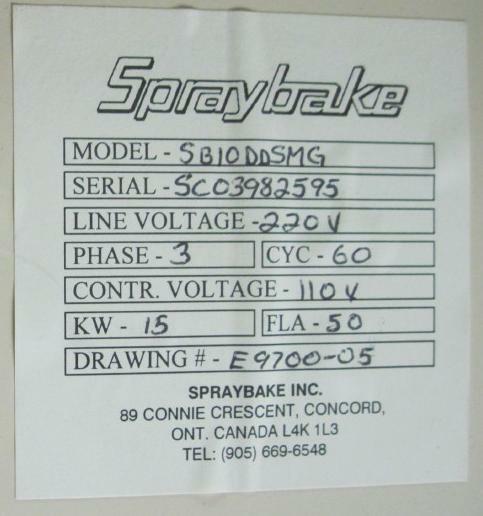 Before Spraybake, since 1988, we were factory trained, installing and servicing: Power Flame, Weather-Rite, DeVILBISS, Nova Verta, Eagle, Bananza and Honeywell. We service and sell every part and filter on every Spraybake from original factory suppliers, including all Power Flame parts. We’ll start a permanent service file for your booth(s) and email any documents you may need. We have many, detailed repair and maintenance guides with photos that cover all features of all booths, no charge. We have a nationwide network of hundreds of Service Partners that repair, maintain and install Spraybakes. 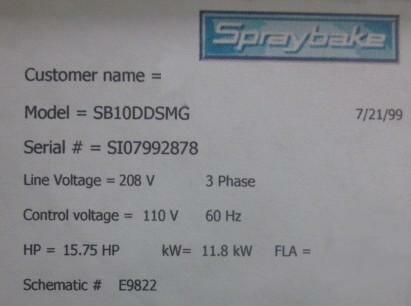 Many of our Service Partners are Spraybake factory trained. Spraybakes are always being sold and moved. We offer free building and fire code support to customers, architects and engineers. We have a large collection of typical permit submittal packages, plan details, and booth and pit drawings for free. Our collection of fully referenced code interpretations on such subjects as separations, hazardous occupancy and electrical issues will quickly resolve any questions plan reviewers and inspectors may have.